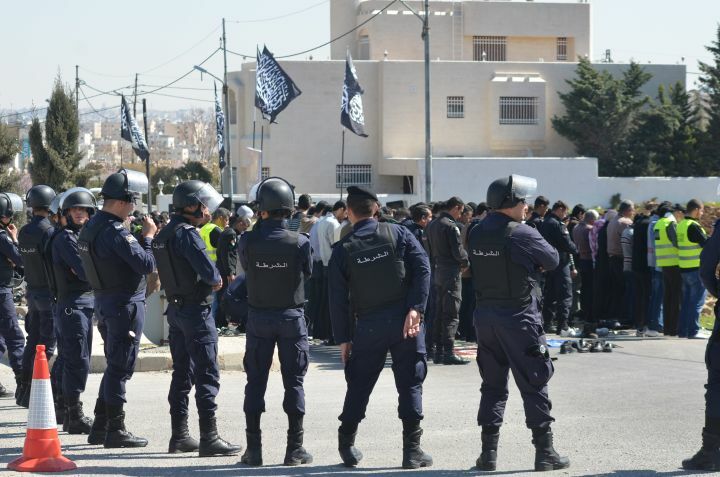 The Security apparatuses in Amman closed the hall and instructed its owner to prevent any event on this day, Friday, 29 Rajab 1440 AH, after arranging a series of lectures and then turning the event to a conference later under the title “Rajab Month of the Khilafah (Caliphate) and How to Restore it on its Anniversary”. This regime and its oppressive apparatuses with all audacity and insolence is fighting Allah and His Deen and the Dawah carriers in every spot it can reach in the world and at any time since its inception by Britain the head of Kufr. It is loyal to Kufr and its people to the core, and is heavily engrossed in the service of Kufr and fighting Islam, Allah’s Deen. It pursues the Dawah carriers, arrests and detains them, it raids their homes and violates their sanctities during the night, it does not honor their sanctities. The last of their crimes was two days ago; by the arrest of the distinguished educator Walid Hijazat, and raiding his house and beating of his children, and imposed on them bails and house arrests, even after the sentences given by their man-made laws. Oh Allah, we resort to you and this is your Deen, which you chose for us, let their plots turn against them, and show us the wonders of Your Might on those who fight Your call and the Dawah carriers. And support us against those who oppressed us, and prepare for us a matter of guidance, You are All-Hearing and best to answer (the prayer).